Quadro Business Power. Also Hewlet-Packard reacted to the progress in CPU development and, especially, also to availability of new video cards by a new business series. 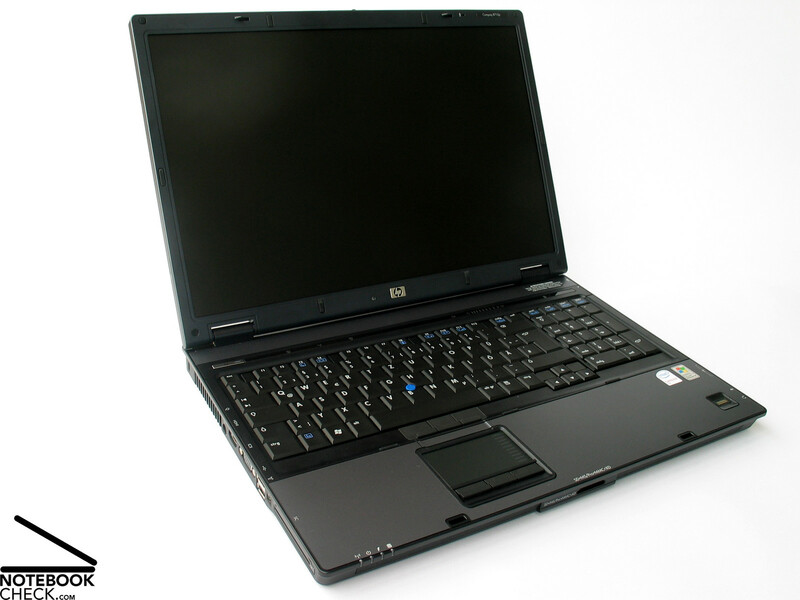 The powerful 17" class is today represented by the HP Compaq 8710p and also the 8710w. Equipped with the new-generation Core 2 Duo processors and a NVIDIA Quadro NVS 320M video card this notebook provides top performance, also for 3D applications. 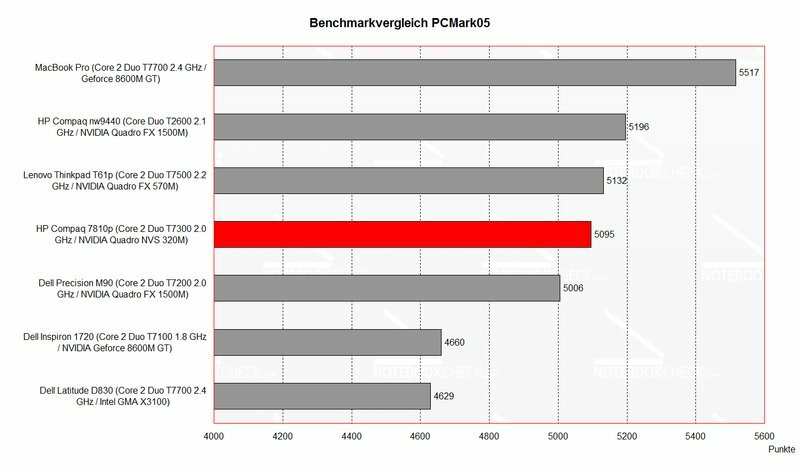 More about how this notebook rates in our tests, can be read here. 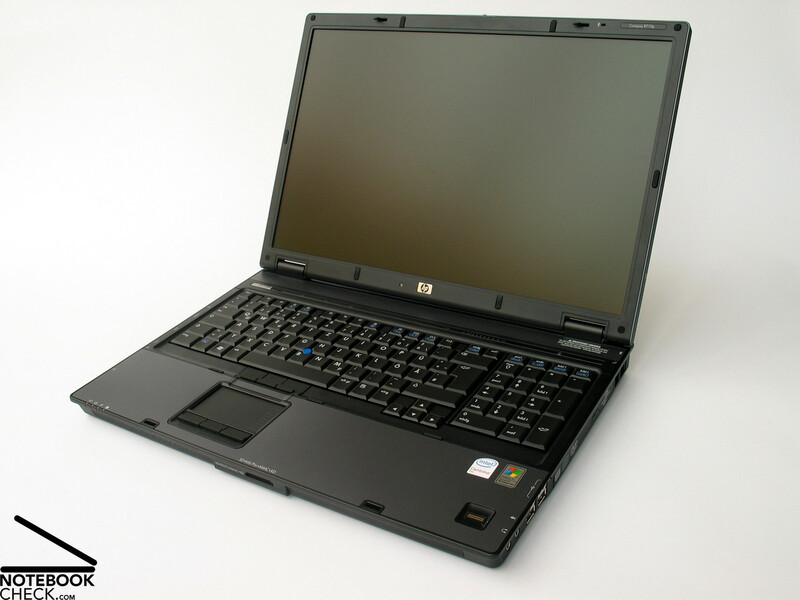 Regarding form and look the successors of the HP nx/nw 9400 series do not differ too much from their predecessors. The black case with blue-gray inlays and a colored display cover persists. 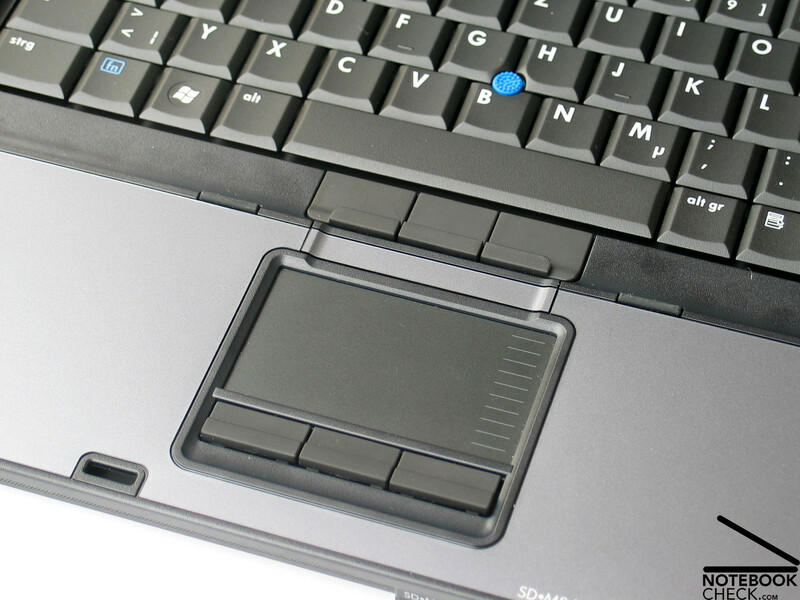 The molding covering the hot keys above the keyboard was slightly redesigned. It is now parallel to the keyboard and nearly the whole width of the case is utilized. Further to the power switch at the left side it also provides a number of hot keys. What's special is, that the keys themselves are implemented using contact sensitive areas and, so, no further mechanical parts were needed. The solution does not only look good, each of the keys could also convince in practice. Also the volume control, which makes it possible to adjust the volume by moving the finger over a marked zone, is felicitous. That's all regarding design. No further changes got obvious. The same is also true regarding robustness and stability of the case. 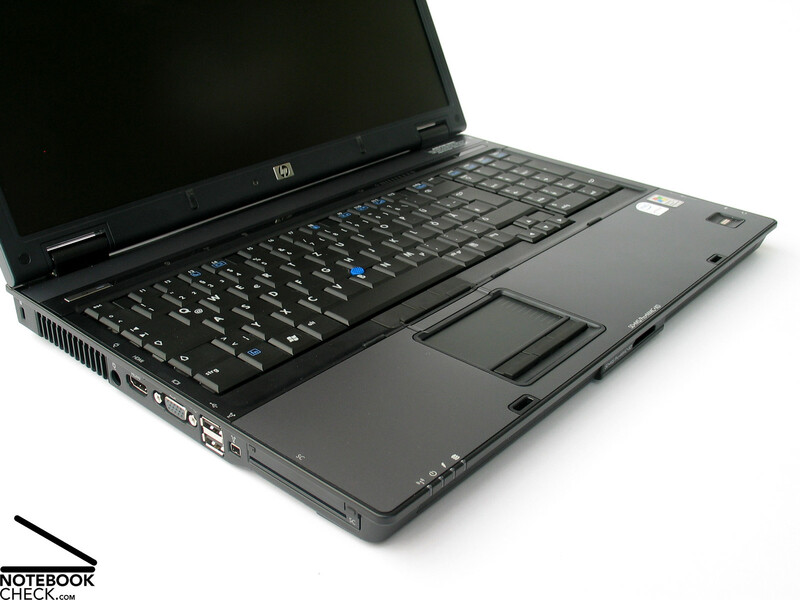 Overall, the HP Compaq 8710p has a good pressure resistance and flexural rigidity. 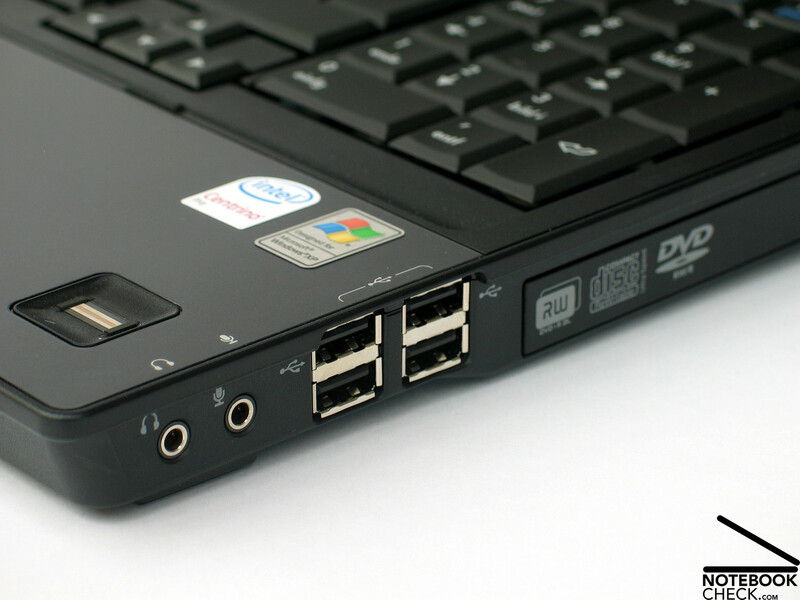 However, there is a small weakness at the right group of four USB ports. If you pick the notebook up at this part, you can hear a loud creaking noise. Still, overall workmanship and case stability convince. The display's pressure resistance and flexural rigidity is also good. 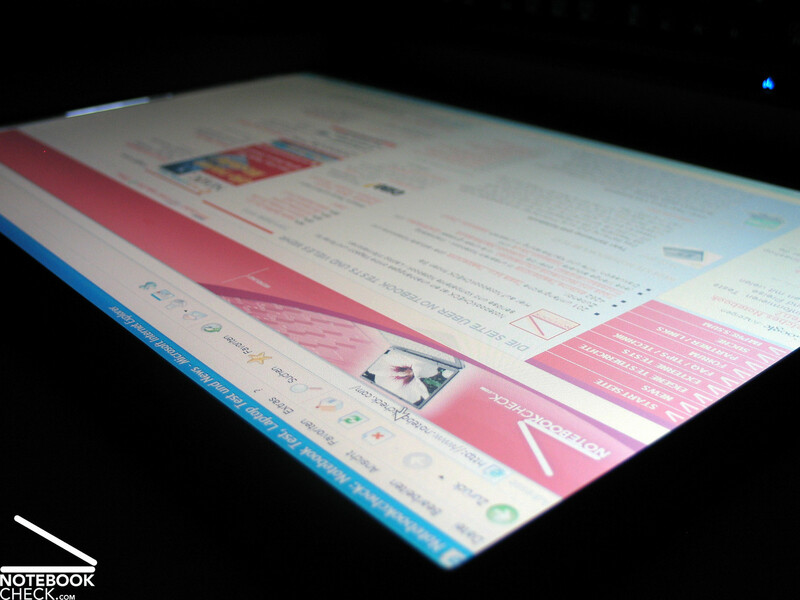 The two hinges allow a slight see-saw after adjusting the big 17" display's position, but, otherwise they seem robust. The display is locked by a ramshorn hook, if closed. The handy surface of the slider eases the use of the opening mechanism. 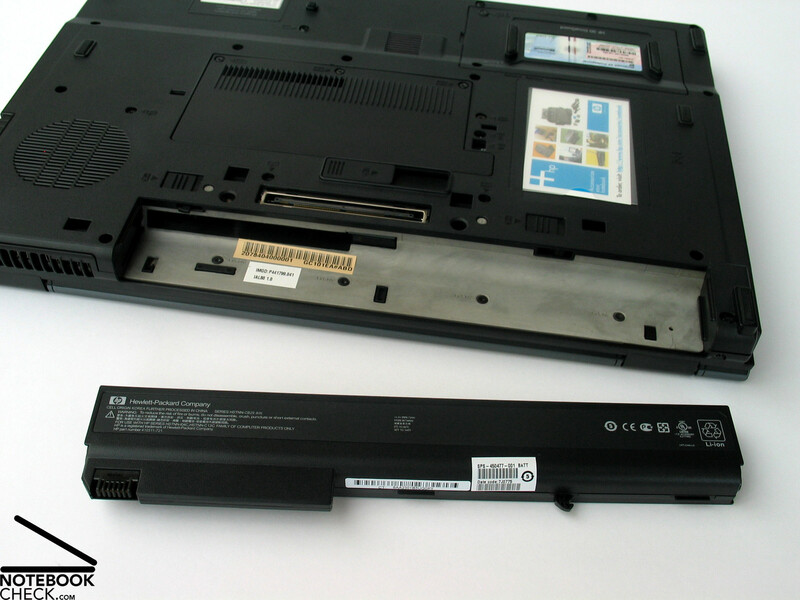 The interfaces offered by the HP Compaq 8710p are mainly at the notebooks left and right side and there near the front. There are many interfaces provided, so, utilizing them directly at the notebook will cause cable spaghetti. Especially the four USB ports at the right side could cause problems. Positive is that also a HDMI port is provided at the left side. 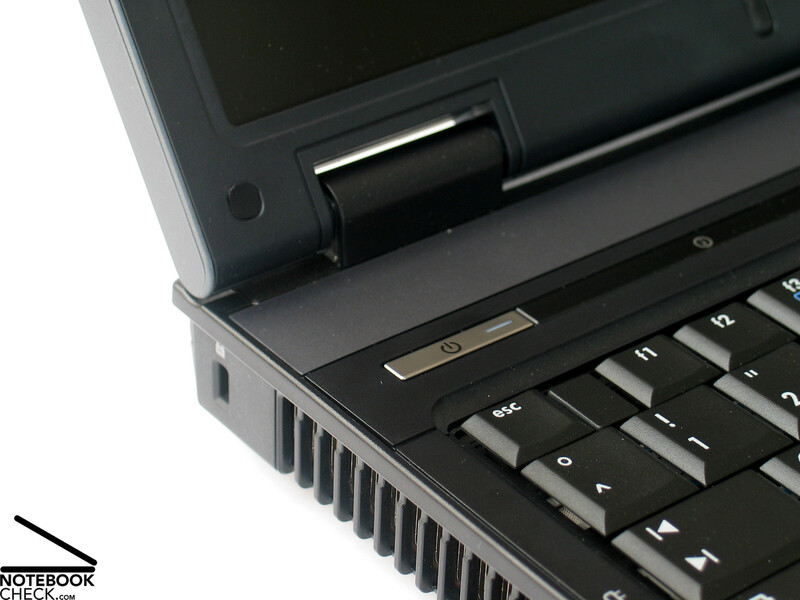 Of course the Compaq 8710p also provides a docking port, which allows to move all the provided ports to the back and free the sides from cable spaghetti. There were hardly any changes regarding design and typing comfort of the keyboard. 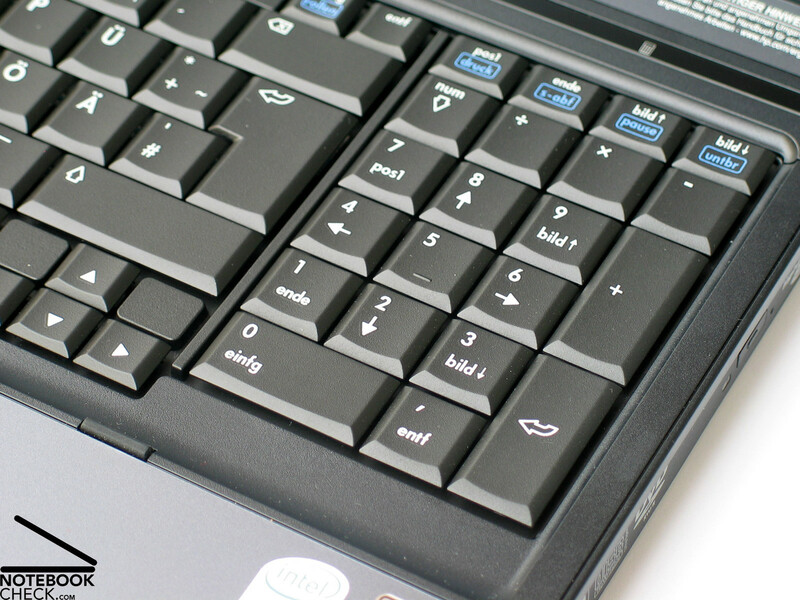 The notebook provides a clearly structured keyboard with a numerical pad at the right side.. Overall the size of the keys is alright. 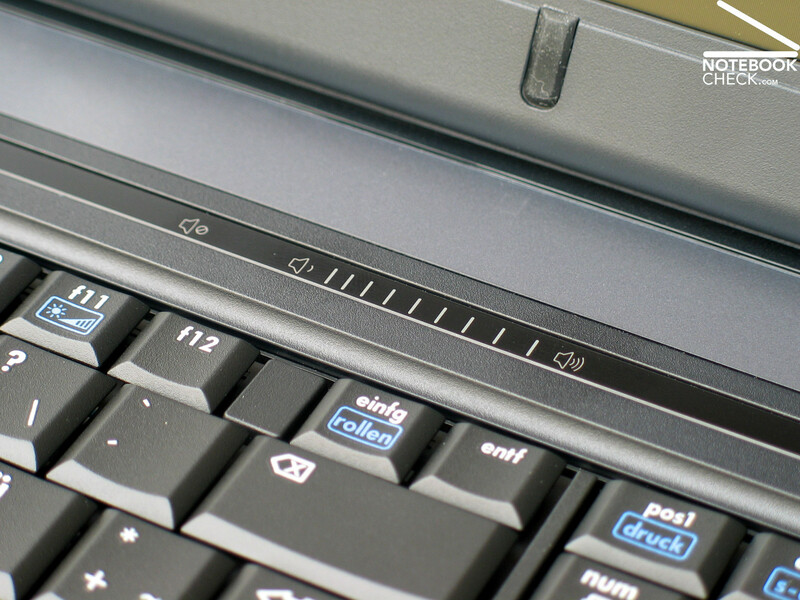 A enter key which extends over too rows seems nearly naturally. The cursor block is a little bit separated from the other keys. In general typing is comfortable, but, seems a little bit jerky, because of the strong point of pressure and a relatively long travel. Fast typing is accompanied by a clearly clicking, nearly rattling noise, although the keyboard is attached tightly to the case, besides, that it yields a litte. 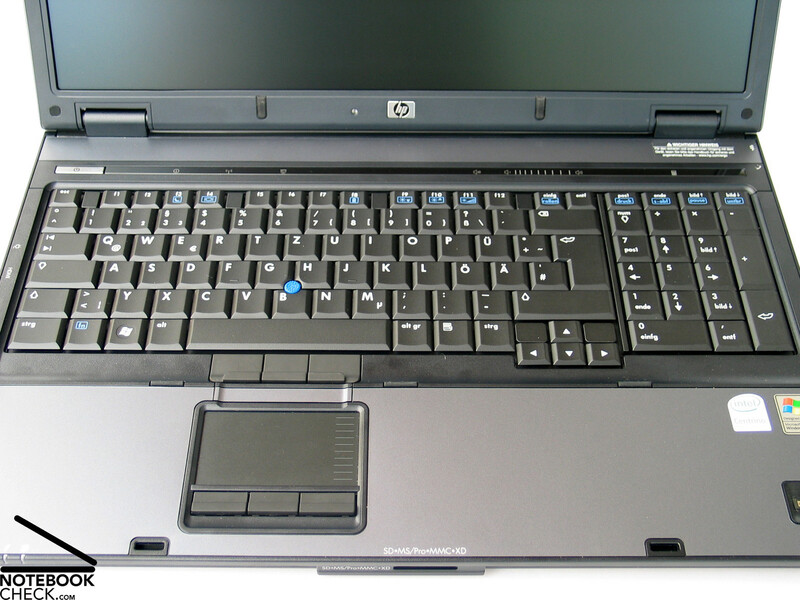 The HP Compaq 8710p provides, additionally to the touch pad, also a blue track point in the middle of the keyboard. Once again the unergonomic surface and the high resistance of the track point are points of critique. So, working with the track point is not very user-friendly. A nice feature are contact sensitive hot keys above the keyboard. Again, one of the hot keys launches the Windows calculator. This notebook provides the fingerprint reader no longer at the touch pad, but, at the right lower corner of the palm rest areas. 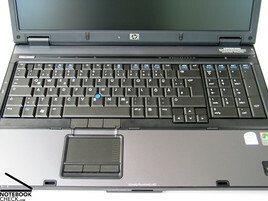 Typical HP, also for the Compaq 8710p a variety of display versions is available. 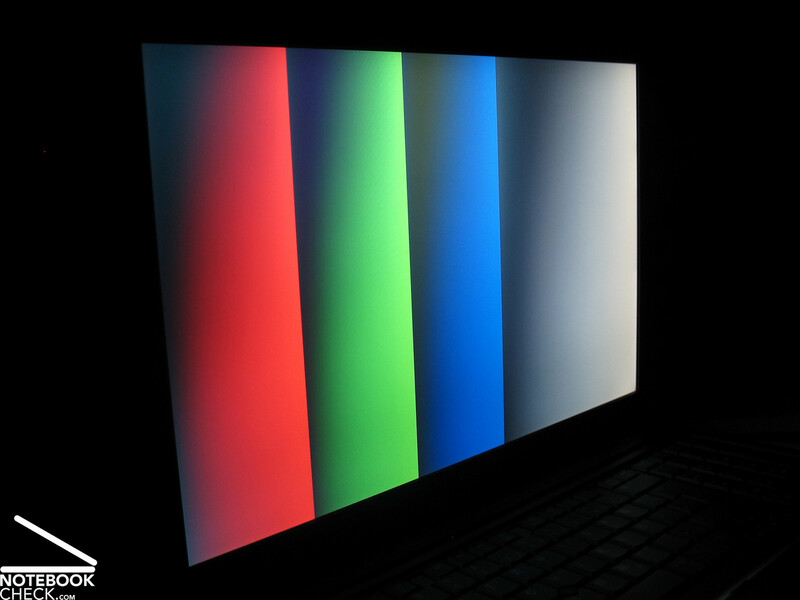 They range from a 17“ WXGA+ panel (1440x900) anti-glare, which the reviewed notebook was equipped with, to a WSXGA+ display (1680x1050) available in an anti-glare or a bright-view (reflecting) version. We felt that the resolution of WXGA+ panel was nearly a little bit to coarse for a 17" display. 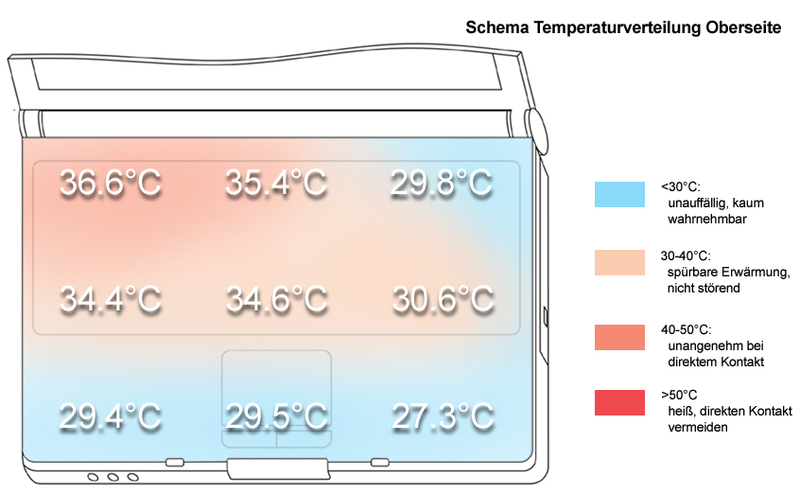 The WSXGA would provide more overview and would also fit better to a 17 inch notebook. We measured a very good maximum brightness of 191.4 cd/m² in the center of the display, but, the brightness heavily diminishes near the bottom edges, where we measured only 135.9 cd/m². 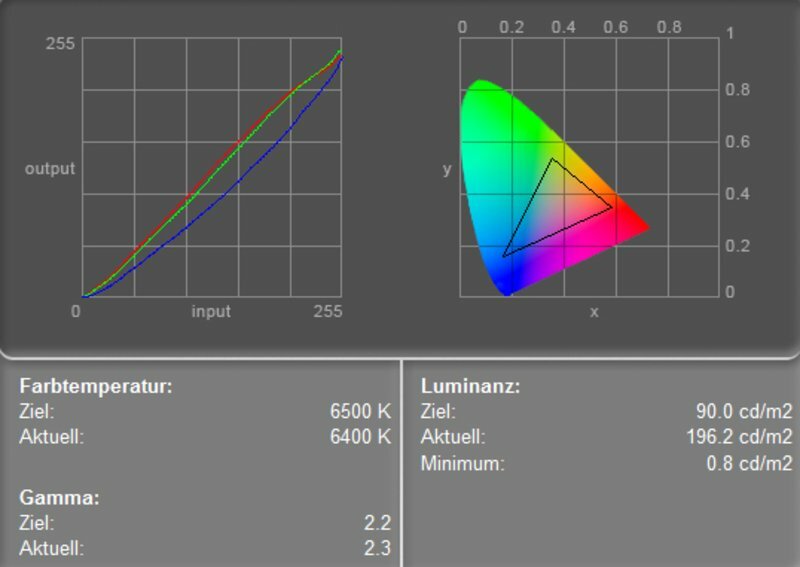 So, the illumination of the panel is poor at 71.0%. 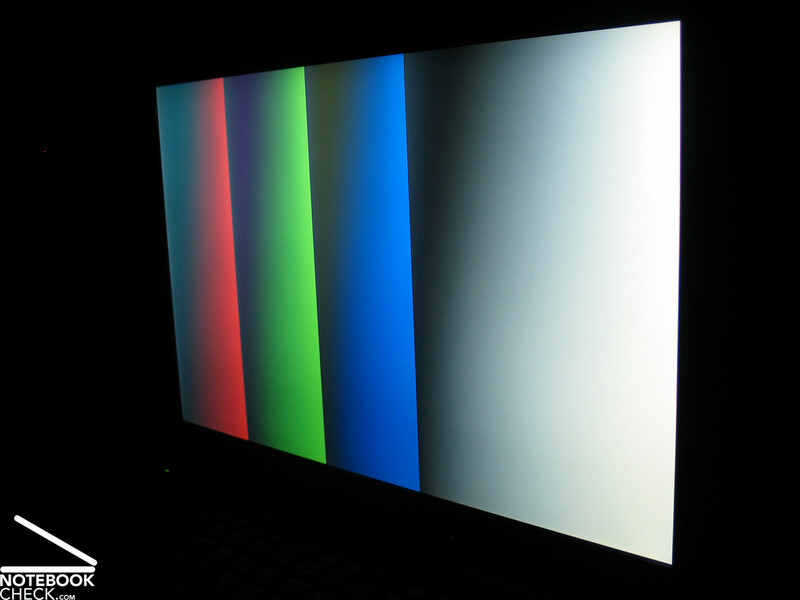 The minimum brightness of the panel was 0.8 cd/m². Together with the maximum brightness of 191.4 cd/m² this gives a maximum contrast ratio of 239:1. There are no anomalies regarding the display's speed of reaction. 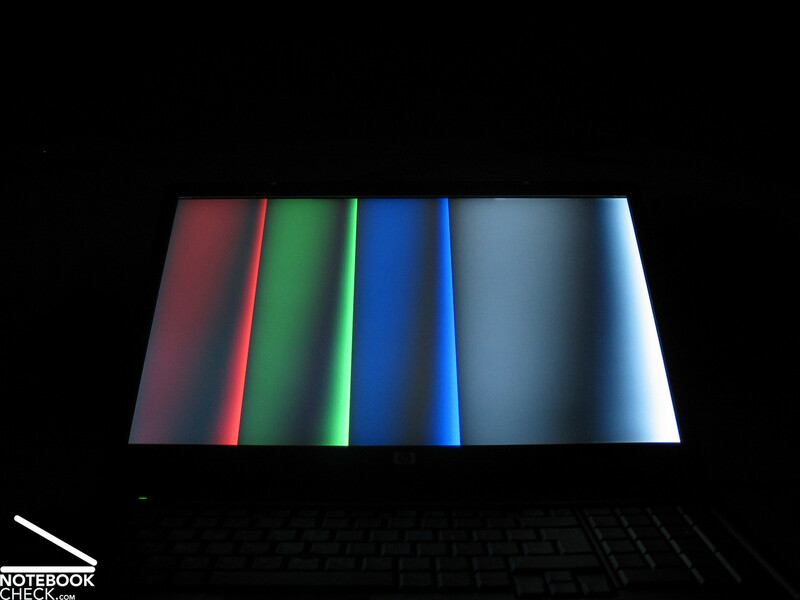 The outdoor test demonstrates the advantages of the anti-glare display, because there aren't any reflections. In general the display was well legible, but, if it was brighter, working outdoors would be even more user-friendly. Horizontally, regarding stability to the vantage point the area of operation is spacious. Vertically, the display darkens or whitens depending on the vantage point outside a sufficiently big area of operation. 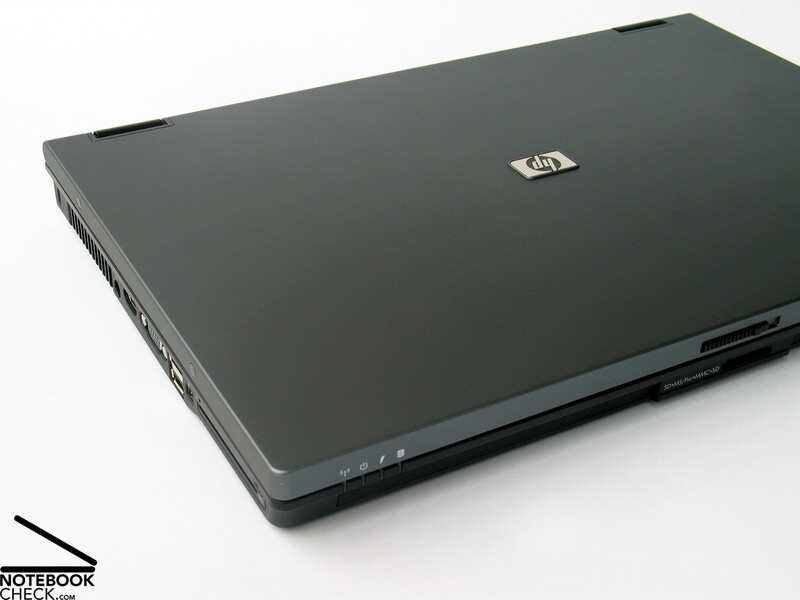 The HP Compaq 8710p is equipped with a powerful Core 2 Duo processor and a NVIDIA Quadro NVS 320M video card. 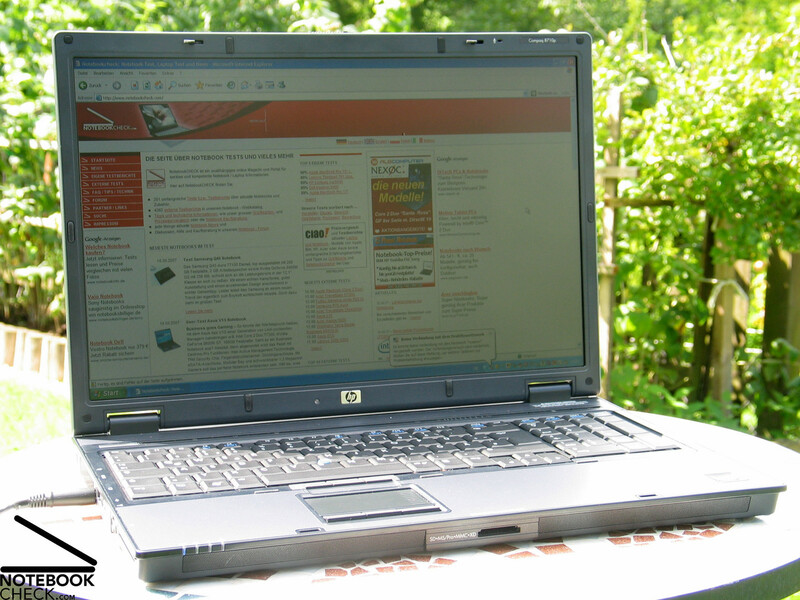 Especially the video card is of interest, even more, because the HP home page categorizes and advertises the HP Compaq 8710p under „Performance Notebooks“. 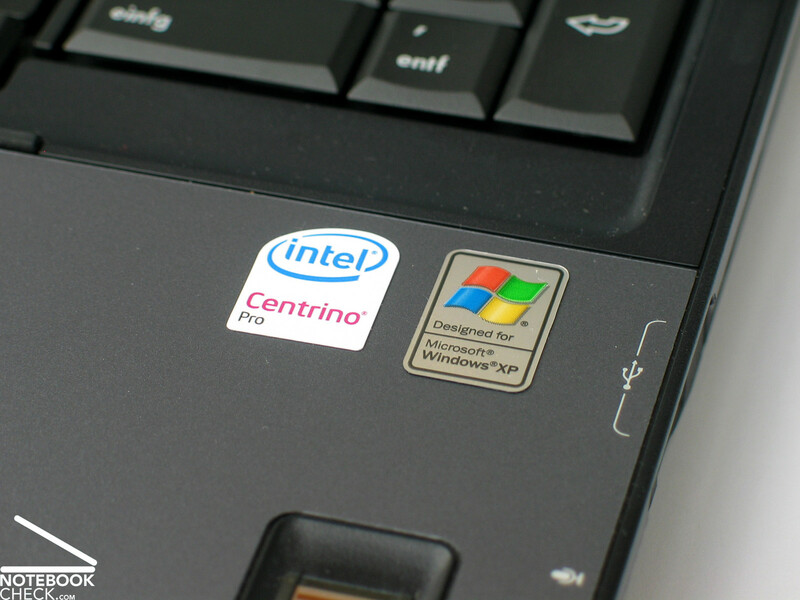 After the benchmarks were run, the following was clear: The 8710p is indeed a high-performance notebook. It reached top results in the 3D Mark benchmark test and also rates excellent during practical game tests. According to various information the Quadro NVS 320M chip is based on the Geforce 8600M GT. 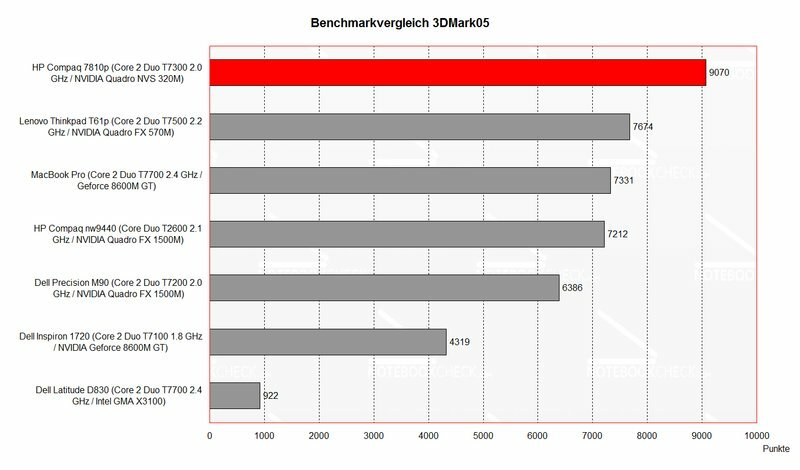 However, because of the reached benchmark results, you can assume that it is actually a higher-clocked Geforce 8700M GT. At least the following is for sure: The video card was clocked with 575 MHz GPU and 702 MHz VRAM. This is a clear increase compared to the 8600M GT chips (475 MHz GPU). 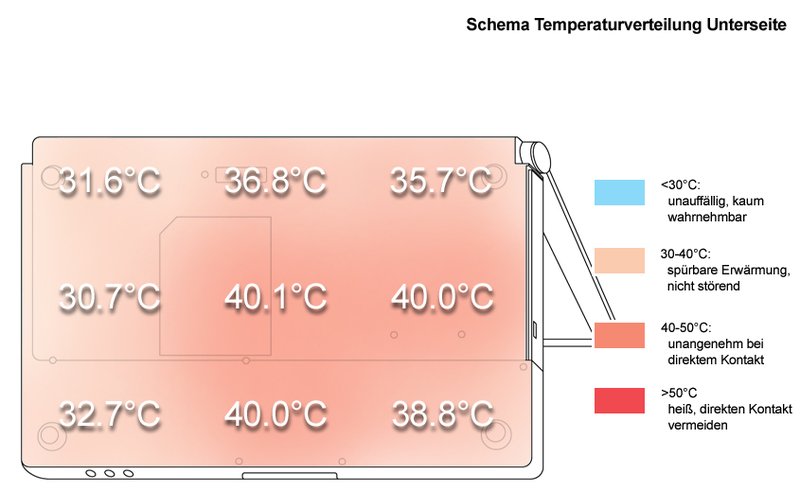 Furthermore, the Quadro NVS 320M should be equipped with GDDR3 RAM, in more detail with 512MB VRAM. 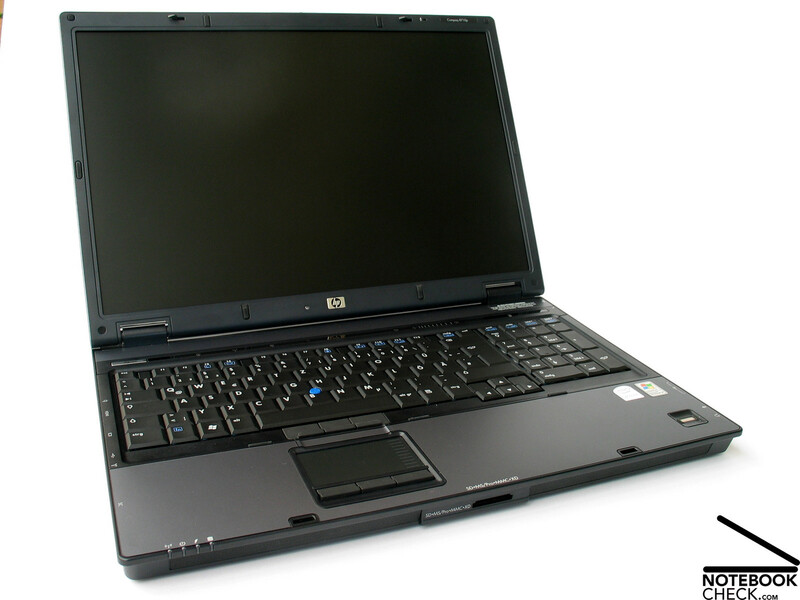 However, for the user only the performance of the hardware is interesting, and the HP Compaq NVS 320M's video performance is excellent. 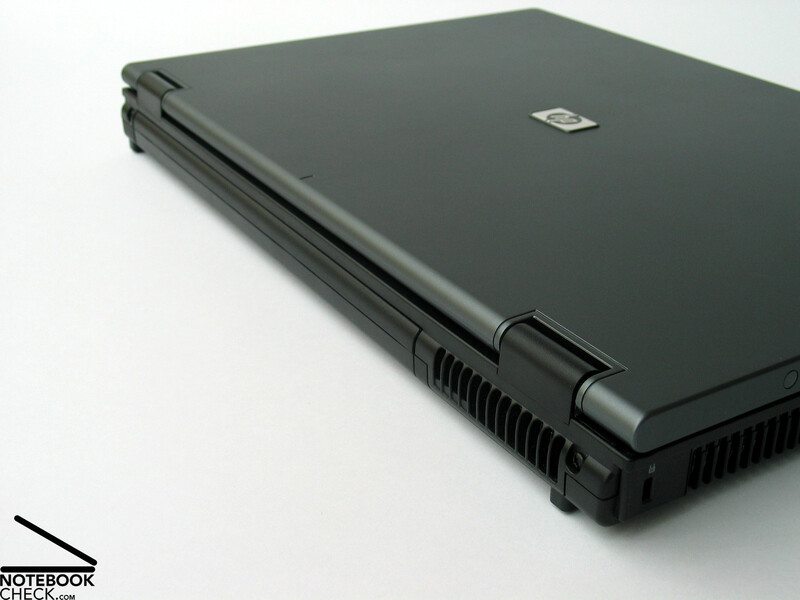 Although the the HP Compaq 8710p is actually not intended a gaming notebook, current games are still applications with high 3D demands and, so, the notebook's game performance is interesting. 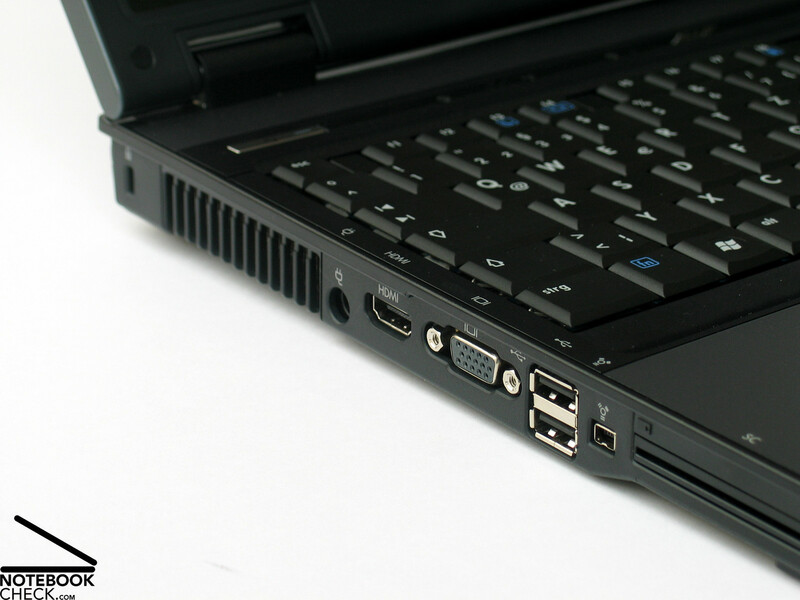 Therewith also 3D applications, CAD and graphical design are no problem for the 8710p. 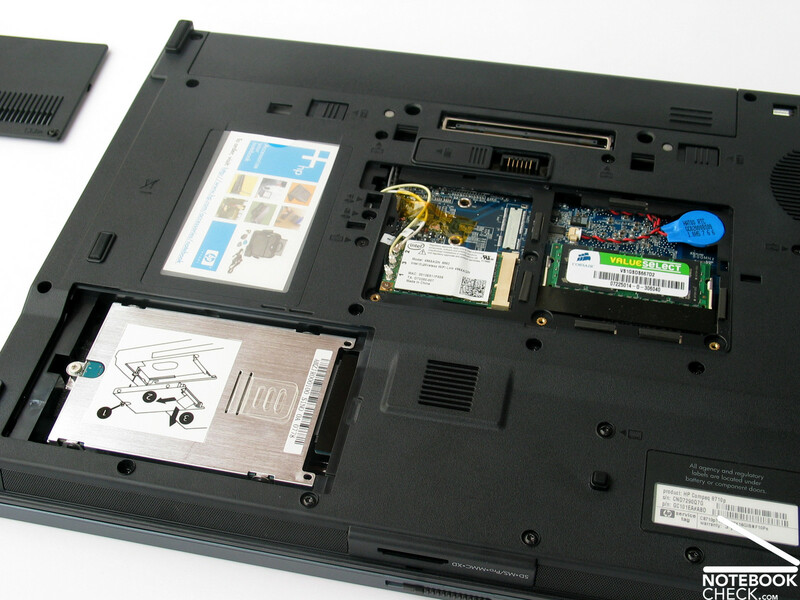 Furthermore, the reviewed notebook was equipped with 2GB main memory and a 160GB hard disk with 5400 revs/min. Resolution 1440x900, all details: max. - 30 fps in game - well playable. Resolution 1440x900, all details: max., AA Level1 - 35 fps in game - well playable. Resolution 1024x768, Presets: "high", AA off - 41-60fps, 49 fps in game - well playable. Resolution 1280x800, Presets: "high", AA off - 23-60fps, 38 fps in game - well playable. Resolution 1440x900, Presets: "high", AA off - 18-60fps, 28 fps in game - well playable. Resolution 1440x900, all settings: max., 4xAA - 15-60fps, 20 fps in game - well playable. Both games are also well playable in the highest listed resolution. Under load the fan audibly speeds up. Although it is clearly audibly, it's noise is not really disturbing. We measured a noise level of up to 45.8 dB under load. The surface temperature is without any striking maximums. At the top side the maximum is about 35°C and 40°C at the bottom side. 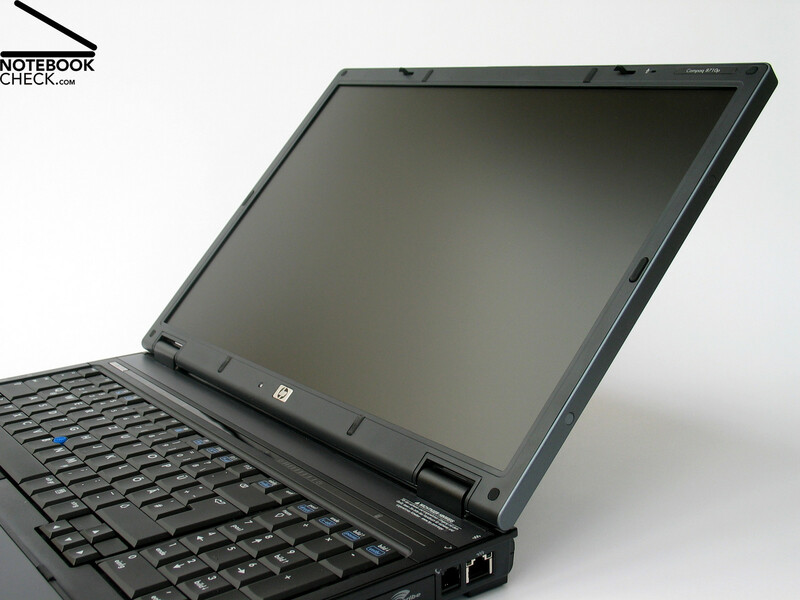 This is alright, even more, if you consider the high performance of the HP Compaq 8710p. The sound of the two speakers, located at the front edge of the notebook, is passable. The maximum volume is alright, but, the sound a little bit dull. The sound output via the analog 3,5mm stereo output was alright too. The big battery with 73Wh capacity reached a good runtime. It ranges from about 2 hours under load to nearly 6 hours with minimum energy demand. This runtime is alright for a DTR notebook with comparable performance. 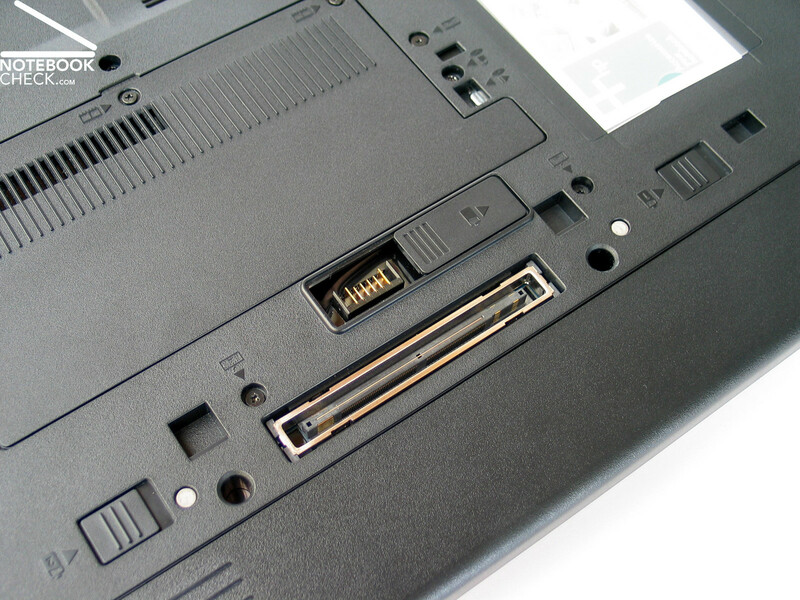 Furthermore, it is possible to attach supplement batteries at the bottom side of the HP 8710p. 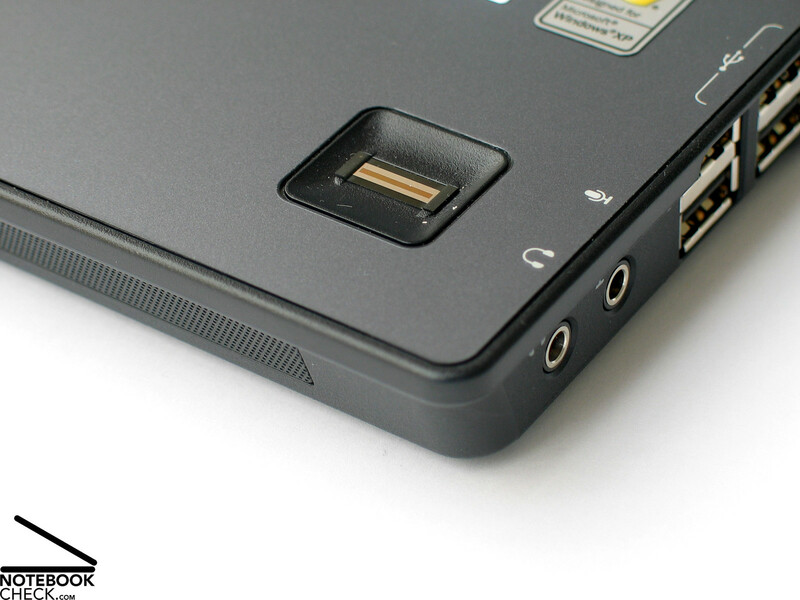 For this purpose the notebook provides a dedicated connector beside the docking port. So, it is possible to further increase the battery runtime by external 'high capacity batteries'. 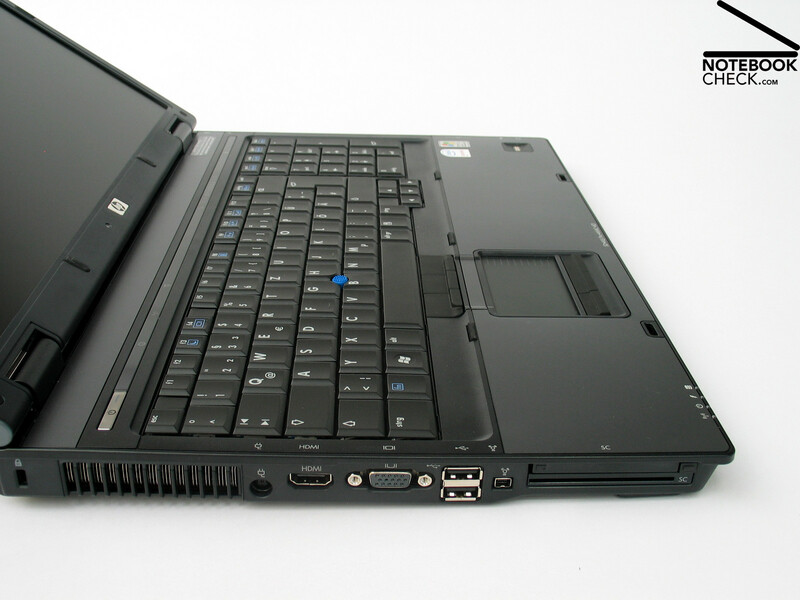 Alike its predecessor, the nw9440, also the HP Compaq 8710p could convince as business notebook. There are a lot of reasons for this, e.g, a good worked-up, robust case in decent business-look. Also the important input devices are alright. However, typing is judged by individual preferences. A plus is of course the separated numerical pad. Also the hot keys provided above the keyboard are felicitous. In general the built-in WXGA+ display is alright, but, could not completely convince. 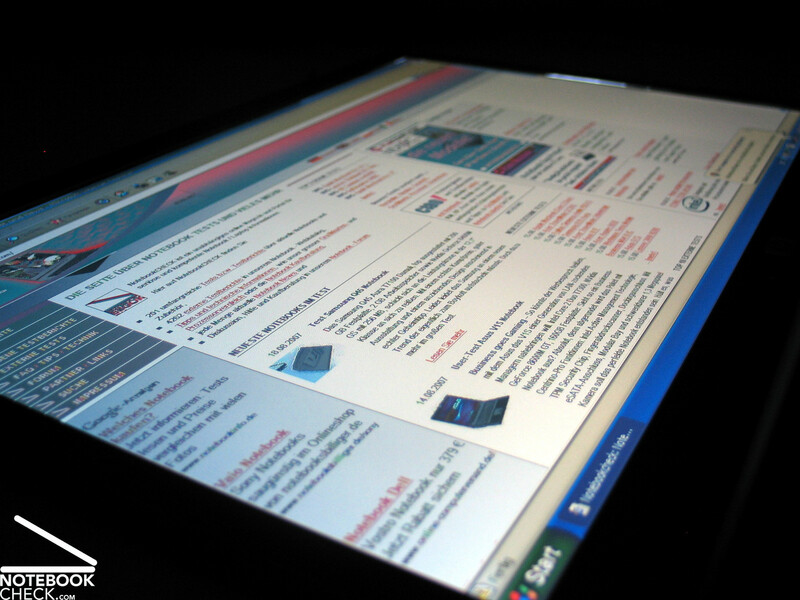 Especially its resolution of 1440x900 pixels is a little bit low for a 17 inch display. 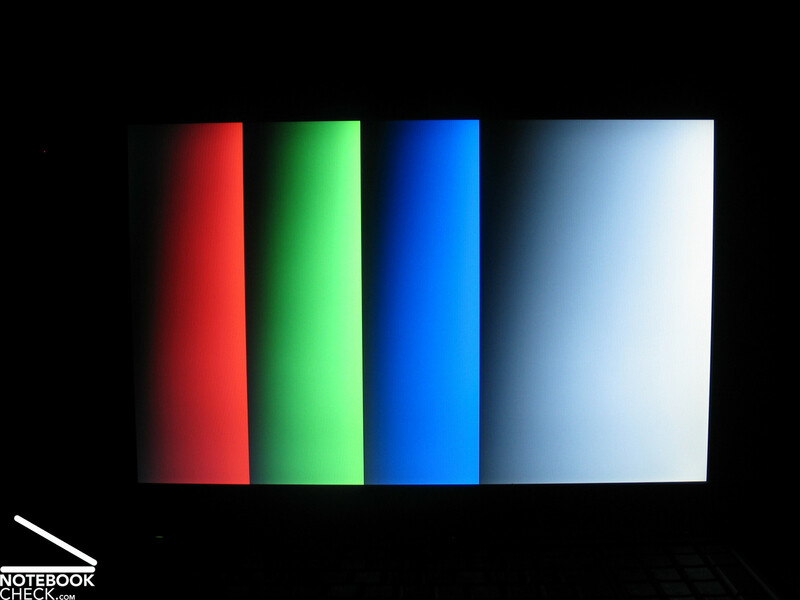 But, also the moderate illumination is a reason for recommending the WSXGA panel instead. The emissions are limited. This is true for noise and temperature emissions, especially in idle mode. Also the battery runtime is rather good. Although this is not the most important criterion for a DTR, it does not harm. Furthermore, it is possible to equip this notebook with supplement batteries. HP launches a new business series with new name and slightly differing case. Excellent feature: Hot keys, which are sensible to touch above the keyboard. 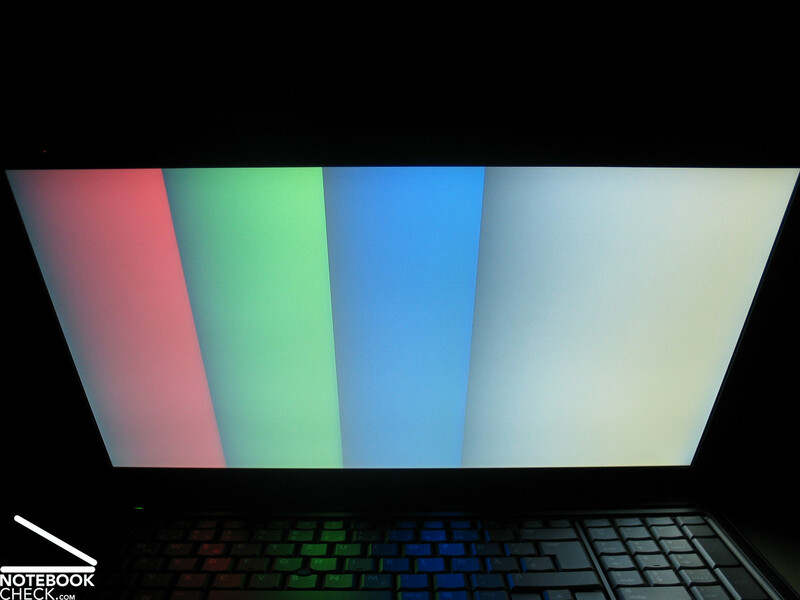 The resolution of the WXGA+ display is for a 17" display a little too low. Quadro NVS 320M and Core 2 Duo CPU provide top performance for applications and 3D. The noise emissions are alright, the notebook is quiet in idle mode. Also the surface temperatures are alright. The sound of the speakers is also alright, but a little dull. The keyboard has a clear layout. Access rights can be organized and checked by a fingerprint reader. 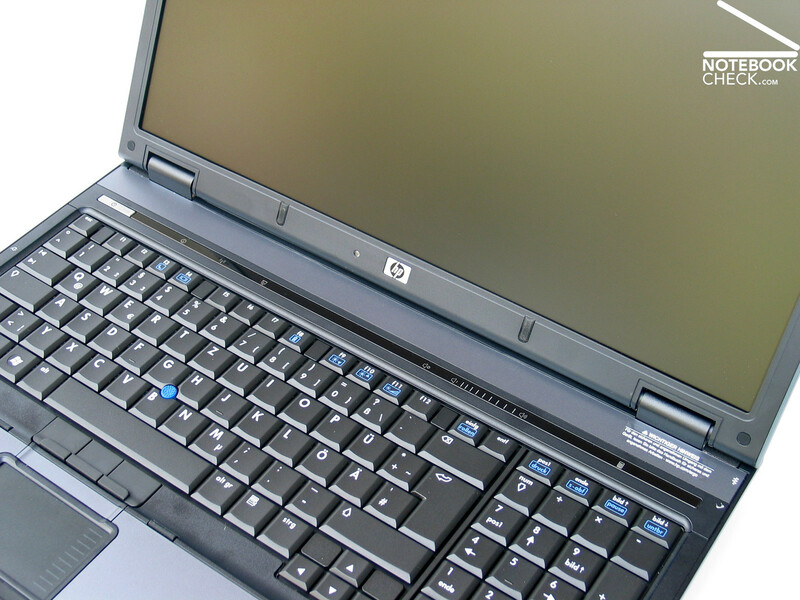 The HP Compaq 8710p, a 17 inch DTR notebook, is the first representative we reviewed. ...only the area of the keyboard and the area of the hot keys were changed a little bit. ...unfortunately, they are at the sides of the notebook near the front. 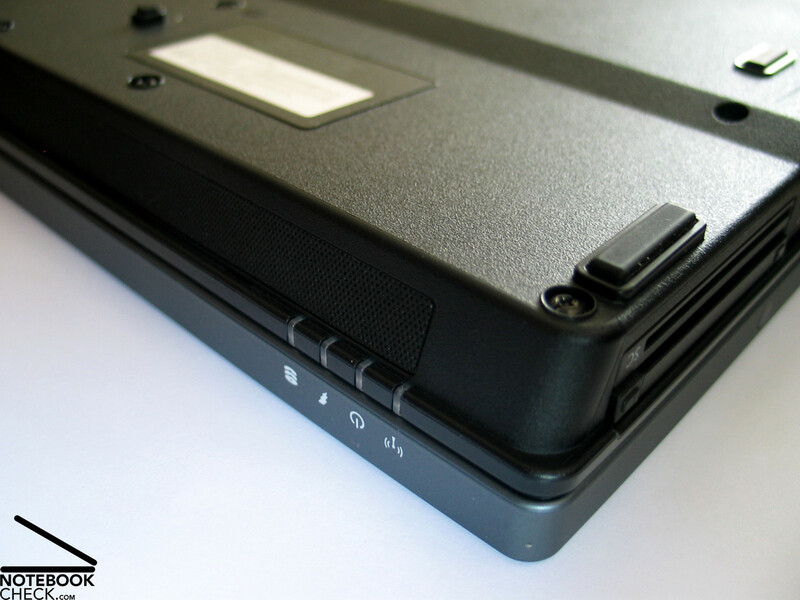 However, a docking port makes it possibly to attach all peripherals via docking station at the back side. ...ranges from 2 to 6 hours.